Recently Scot Wingo of Channel Advisor in his eBay Strategies blog published an article which indicated some sellers were hacking the best match system by using the eBay estimator tool. Scots Article apparently ruffles feathers at eBay and rather than fix the algorithm which allowed the system to be hacked, this morning they removed the tool utilized by thousands of honest sellers who were simply using it as it was intended. • Why did you remove this... why are we always getting good tools and then you take them away! This is just crazy! • This is an extremely helpful tool. If we are to submit listings using search algorithms, then we'll need a way to maximize our listings, just like we do with Google Adwords. If our customers are searching via this type of search mode, it will benefit everyone to optimize their listings. • Once again, good sellers are getting penalized for bad ones. Resetting it so that words can only be used say twice is a good idea. Or setting best match so that listings with more than two instances of the same word are penalized would work too. I loved this tool. It help me especially when I had too many words and needed to pare the title down. Please, please, please bring it back. • This tool was very helpful in learning how to optimize listings for Best Match. Why remove it? It was a legitimate way to figure out what keywords would help buyers find the products they are looking for. Yes, Ebay needs to fix the problem with keyword spamming (new new new) but that does not mean this should be removed. • Please, please make this tool available again. • why was this taken down? It helps both sellers, and therefore, ebay! • Please please bring this back. I have found it so useful for my titles. • This tool helped me so much with difficult listings. It really helped maximize the short amount of title space. PLEEEEEEEEEZ bring it back! • sonic-chicken wants it back....please, don't be cheep cheep with the tools! Need the tools! • YES...... bring it back!!!!!!!!!!! • Please bring this tool back, it lifted my sales by using it, I'll be lost without it. A great and useful tool. • A valuable tool I would have used if I had known about it. I understand the reason for its dasappearance is that some have misused it. The solution is for Ebay to see how it has been misused(like saying "new" many times in a title) and take appropriate action. • So who asked you to pull it down? IF they is "management" please let us know that. I used it and found it informative. Might help if I could figure out what the hell "best match" is supposed to do. • More is better; having options to increase the buyers' experiences and sales is a good thing. • This was very helpful. PLEASE bring this back. It corrected my title over and over. PLEASE.....all of us need this. • This was a great tool,PLEASE bring it back. Very useful tool in helping me understand how Best Match works. It would be nice to have it back. Thank You! • This tool was phenomenal. Finally some insight into how eBay's search query works! With the introduction of Best Match we are mostly all lost without this tool. If Best Match is to remain the default search, then this needs to be available to sellers. Not all are interested in hacking it. Some of us rather simply want to have good titles for decent placement. • i think ebay once again has over-reacted to a problem instead of thinking something thru and making a smart decision. The tool is very helpful when you are trying to train a new employee on the values of key words in titles and how to choose what is important and not. Not really shocked that ebay pulled the tool only that it took this long. Maybe next time your search team can improve the code...i hear Mike Wilson is available! • The tool seemed to be the closest things eBay sellers had to a clue about Best Match. Why take that away? 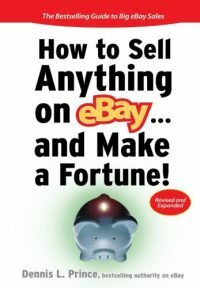 Don't we want sellers to sell and make money for themselves and for eBay? • There are a million words in the English language, and no way to know which particular synonym works for BestMatch. Please allow everyone to use this tool again. • Any tool to overcome the loss of sales on e-bay may keep me in business a little longer. My sales are 25% of last years sales. I am about to lose two powerseller logo's now. The new Best Match system is flawed!!! I drop ship and have a 4.5 DSR which is excellent except for Best Match. Both my stores have 98% +++ feedback what gives?? I have no control over shipping rates!!!??? • This tool helped me improve the buying experience. I thought that was what eBay wanted! • I was unaware of this tool, but certainly would like to have it to create better titles. Please bring it back! • I liked it. It gave me ideas for improving my titles. Every character in the title is a precious descriptor for me so I didn't do the stupid "new, new, new", etc. but I did like seeing the suggestions. • I found this to be an extremely useful tool and NOT for spamming keywords. At hope at sometime in the future it will be brought back. • PLEASE bring this tool back. This is the only thing that made Best Match 1/2 way tolerable as a seller. Without this we will have NO idea what title keywords eBay is wanting us to use to attract buyers. Fix the problem of "New New New" and give honest sellers the ability to use the tool . • I just learned of this tool and guess what it is not available. It seems to me that Ebay does not have the seller's interest very high on the list these days. Yes buyers are necessary but without us sellers buyers would be useless. Wake up Ebay. • I'm sure if the buyers requested it eBay might listen. • This is an excellent tool to help all sellers - why get rid of it? Surely anything that helps sellers give more accurate titles to listings helps the marketplace and buyers?? It's not fault of this tool that rules around the best match system can be bent! • Makes me think this was too helpful, if it was pulled. I never had a choice to use it until today and sorry to see it has disappeared from view. • Why on earth would you be asked to take down a tool which is helping improve the "Buyer Experience"? There is no compparable resource that I am aware of, that will help sellers optimize their titles. Also, "PESA sellers want this tool back and available to help sellers control their business better. Please get this tool or a similar tool available to us soon." • I work for a large video game seller and we have been using this tool to optimize our listings after Best Match was implemented. 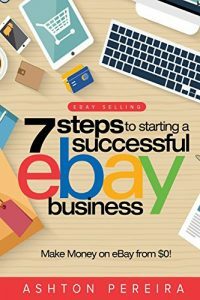 It has been EXTREMELY helpful in determining which words we should use in our titles and I think if eBay desires to continue utilizing Best Match as the default sort-by method then they owe it to at least the REPUTABLE sellers to provide SOME kind of information regarding how it works. This tool did not reveal entirely how the Best Match algorithm operates, but still quite adequately provided great research opportunity regarding it's basic functions. Those who abused it should be punished SEPARATELY. Abuse or misuse of the knowledge provided here has come largely in the form of what should be considered title SPAM. As a representative from a large eBay seller who has NOT abused this tool, I would like to say that BayEstimator should be put back up! • Why take this away from honest sellers? Ebay should work on its Best Match algorithms so that black hat SEO folks can't use tools like this to find the holes. If there weren't holes, this tool would not help them, but it could still help honest users. Bring it back! • Sales are so bad for everyone on ebay, we need all the help we can get. This tool has been very helpful for many of us. • Please bring this tool back, Stop making EBay harder than it need to be. • WHOA! Why do you take all the good stuff away from the sellers? Pretty soon you will have NO sellers! • Please bring this tool back- it was clearly making a difference in our ability to make our listings more visible and had resulted in an increase in our sales, a fact which should be good for us AND for eBay. • Please bring the tool back. It was very helpful in writing and improving titles. • Please bring this back! It was awesome! • This is a very usefull utility. Please restore it. • PESA wants this tool back and available to help sellers control their business better. Please get this tool or a similar tool available to us soon. • This was one of the most useful tools around! I loved it! When I had a case of brain freeze, I could still work with the aid of this tool! Bring it back, PLEASE!!! • Please bring back the BayEstimate tool. Punish the people who were abusing it, not those of us who weren't. • We respectfully ask that this tool be made operational again. I write the Trading Assistant Journal and was about to write a very positive story about this tool and how it can help eBay sellers cope with Best Match. Removing the tool due to a story by Scot Wingo regarding how some sellers game your system is not serving the majority of sellers who do not. The Auctionbytes article from today reveals how this tool was removed as a direct result of Wingo's article and I think my readers would be interested in knowing if it will return. • Another example of eBay punishing EVERYBODY for the actions of a FEW. Most sellers were using this tool as it was intended. Instead of removing the tool, why not just take action against the abusers or fix the broken best match argorithm to ignore "NEW NEW NEW NEW NEW"? • Now for example I have a green cocktail dress. But I dont have room for "green" and "cocktail" This tool would help me decipher which was the most desirable term. • Please Bring this tool back! It really helped me write my titles. When I couldn't choose between which word I would use, I'd just type in my item and find which one was better or rather desirable. It helped me choose between adding cocktail or halter when describing a dress that had both attributes. Bring it back please! • this was a terrific tool! please bring it back! • I used it all the time as it was a great help. Please bring it back. • This was one of the best tools eBay has PLEASE bring it back ASAP. 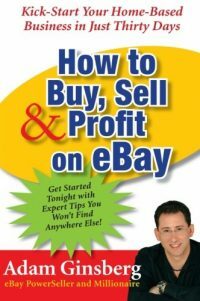 • So sad that ebay again doesn't want sellers to do well on ebay. Shooting themselves in the foot, I say. • Sellers need this tool in order to provide a good shopping experience for buyers! • A great tool, without it, sellers are firing shots in the dark. Bring it back. • This is the best ebay tool I have ever used. I was beginning to learn how buyers searched and what words were most important for the items I list. I thought it was beginning to make a positive difference. It is shameful that some would abuse it. I just hope we get it back. • Very useful tool. I can't imagine why it would be taken down. • why would anyone ask you to bring this tool down?!! finally there was something to take the guess work out of writing titles. this has been the most useful tool that i've found to help figure out what keywords people are searching on and my sales have gone way up. PLEASE BRING IT BACK! • With your stupid best match search, we NEED this tool to try to optimize our titles. Sales have plummetted since you rolled out Best Match. • The idea behind putting listings up on eBay is to sell items. Why remove a tool that helps you optimize your listings to achieve a better sell through rate? Isn't that why we're all her? Please bring back the BayEstimate tool! • I really liked using this tool-because of the suggestions of keywords I hadn't thought of. • We started using this tool for all our titles.... please bring it back!!!!!!!!!!!!!!!!!!!!!!! • Please bring this tool back, why are we always being hampered by our partner venue? • Why doesn't ebay punish the sellers abusing the system instead of punishing everyone. What kind of a mother would I be if when one of my twins did something bad, I put them BOTH in the naughty chair? • This tool actually exposed flaws in the listing system and should be commended. Duplicate words in a title should be penalized anyways. Us sellers keep getting penalized by flaws and new standards. Sellers are the key to Ebays success! • PLEASE bring back the BayEstimator! • Please bring it back! Sellers need some way to test their listing titles and get *some* guidance on managing Best Match. • Who in the world would ASK for such a tool to be taken down? Do they have ulterior motives? PLEASE bring it back, for another couple days if nothing else. I'd really like to see what happens to my sales if I could apply this tool to ALL my auctions (which I was doing the moment the tool was taken down). • we do need it back badly! • What gives? I had just learned yesterday and today how to really use this tool. Why take it away? It's VERY useful. PLEASE bring it back ASAP. Thank you. • Yes, put it back. • Very useful tool in helping me understand how Best Match works. It would be nice to have it back. • Please bring back this tool. It is an essential part of optimizing titles for best match. The abuse of best match by certain sellers should not cause all sellers to be handicapped. Although this tool may have revealed the 'new new new' vulnerability within best match, it was not the cause of the problem; and the vulnerability would have been discovered and exploited at some point even without the tool. I believe the optimal title is a combination of high-scoring keywords (from the tool) combined with good descriptive terms that are appropriate for each individual item. • Why take a tool away that help us optimize our listings? Makes no sense at all. This feels like school, the whole class gets detention because one misbehaved. eBay throws another log on the ground for sellers to stumble over. Sanction Scott Wingo and his clients, not us. Bring back the only tool that enables sellers to make sense of this miserable search you have forced on us. I hate the best match as a buyer. I want to decide what I need to look at. I can imagine as a seller wanting to use the best explanation you can. Lose the Best Match, that was as big a mistake as New Coke. And bring back the Ebay Estimator. We need this on eBay. Why was it removed?